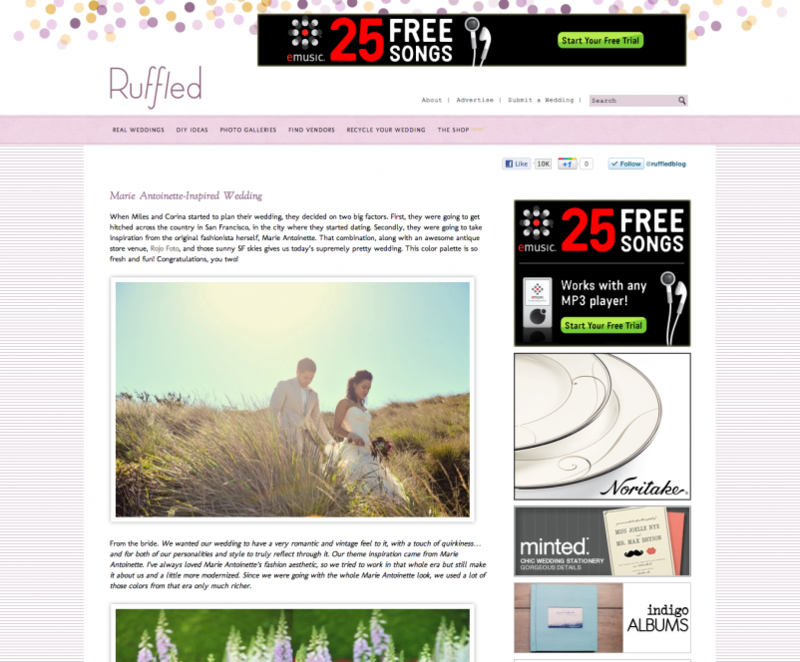 Special thanks to Ruffled Blog for the feature of Corina and Miles wedding! Click here to see the original post… As Corina was planning her wedding Ruffled was one of the many blogs that she would gather her inspiration from, so we were really excited to find out that it was going to be featured! Thanks, Ruffled.